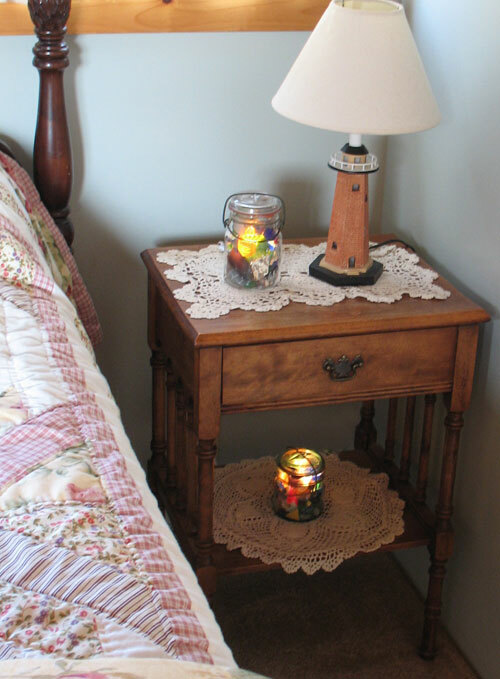 The small light is sized approx 5 1/2 inches tall and 3 1/2 inches wide and the large light is sized approx 7 1/2 inches tall and 4 inches wide. 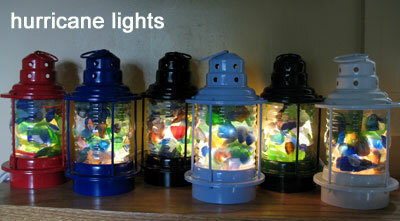 The hurricane lights are available in black, white, red, navy, light blue & forest green and are 8 1/2 inches tall. They can also be hung ( they have a loop on the top). All of our lamps comes with a 6' white cord with switch 4' from plug, candelabra socket, 7 1/2 watt bulb. 18 gauge wire. Lights are for household use only. 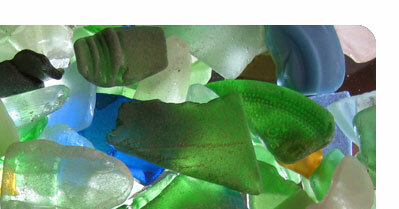 If you would like me to incorporate your found beach treasures, please send them by mail along with your order. I will try to accommodate all special requests and welcome your ideas. 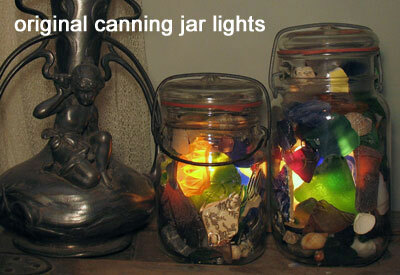 For an unusual look, I have a limited number of very old light green canning jars. As they are becoming increasingly difficult to find, they are slightly more expensive. Please indicate if you are interested in these in the note section of the order form OR email us at info@maineseaglassworks.com. We use PayPal to process our orders. 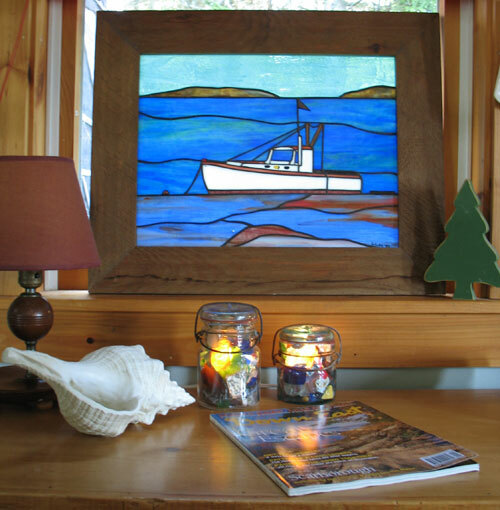 If you do not prefer to order online, please email us your order at info@maineseaglassworks.com. For an additional shipping and handling fee of $15.00 per light, we will mail them out the next business day by next day air (to most destinations) at the post office. 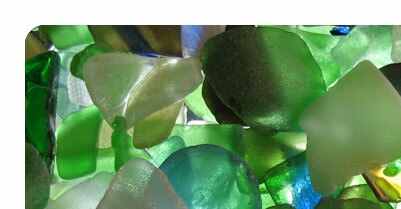 All Maine Sea glassworks merchandise is under strict copyright protection. Light can be returned for a full refund of the purchase price minus shipping within 30 days.